Home Entertainment Is f(x) Going To Disband? Is f(x) Going To Disband? Oh, No! Is It True That f(X) is Going To Disband? f(X) is a four-member girl-group that debuted in 2009, under SM Entertainment. 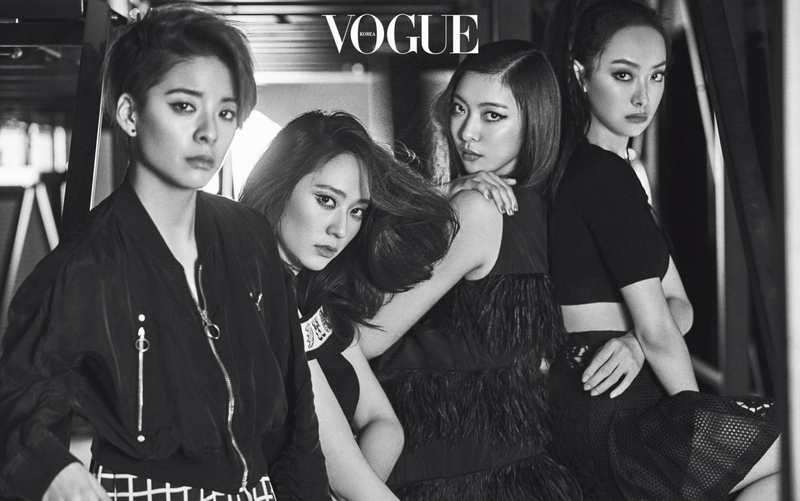 One of the group’s members, Sulli, left f(X) in 2015, leaving Victoria as the leader of the group, Amber as the rapper, Luna as the main vocal, and Krystal as the lead vocal. They debuted with a song called La Cha Ta in September, 2009. Since their debut, f(X) has already released 4 albums, 1 video album in Japan, and 2 extended plays. As the hoobae, or junior group, for SHINee, Super Junior, and Girls Generation, f(X) has also collaborated with their sunbae, or senior, groups by releasing the song Lollipop, featuring SHINee in 2011, and were, themselves, featured in a song called Oops! that was released as part of Super Junior’s album in 2012.
f(X) has had plenty of hits, such as Hot Summer, Pinocchio, Rum Pum Pum, Electric Shock, etc. All the same, their latest comeback was almost 4 years ago. The song was called 4 Walls, and represents all four members, and it was released in 2015 on an album with the same title. After the album’s release, all members of the group got too busy with their own individual schedules, and couldn’t get back to the studio. Victoria began acting in movies and dramas in China, and also recorded some songs that released in her home country in 2018. 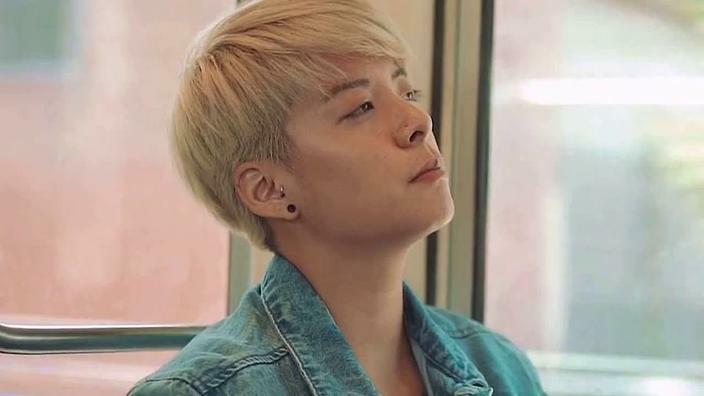 Amber started to release her first solo album in 2015, and also has her own YouTube channel. Luna was acting on stage in musical theatre, but she also did a solo comeback in 2018. The last member, Krystal, has been busy acting in dramas and filming for Commercial Films. True or Not, f(x) is Going To Disband? Because the group hasn’t been active in quite awhile, f(X) fans are worried about the group’s future. A lot of rumors spread that were being disbanded since they hadn’t had any activity as a group for nearly 4 years. But of course, MeU (fandom name of f(x)’s fans) are not going to believe it. They even said that SM Entertainment, the agency of f(X) isn’t the type of agency that will let their group disband. I've given my everything. I tried to work things out. Whether it be the creative or business, I’ve been doing everything myself for years so I can keep myself afloat. But in the end, I’m continuously neglected, hurt, and taken advantage of. I’ve been patient… the fans have been extremely patient and I can’t take it anymore just sitting around, waiting, being constantly rejected and given false hope. I’m so tired mentally and physically and this is where I draw the line. No more. There was also this post on Amber’s official Instagram account, which made fans speculate that it could be related to f(X) being on hiatus for such a long time. In the comment section, Luna posted a comment, saying ‘Koala (a nickname for Amber given by Luna), cheer up! You know I love you, right? We’re going to be okay~‘. Then again, it’s not like all the f(X) members are having an argument that makes them unable to get along. It’s just their individual schedules haven’t matched each other, which makes it hard to prepare a comeback. Even so, they still managed to keep in touch in spite of their busy schedules. In 2017, when Krystal was filming for a drama, Amber went to the shoot location and shows some support. 수정이 밥 안 먹었오? 많이 무라~ 엠셔틀 잘 타셨나요 공주님? Princess riding the llama taxi. Beep beep! This photo was also posted on Krystal’s official Instagram account, saying ‘it’s 뚜덩이 not 두떵이’ on the caption, as she was correcting the written hangul in the big paper that Amber was holding. Amber and Luna also frequently post selfies like these on their own official Instagram accounts. They look like real siblings. It’s hard for Victoria to meet the girls since she has a lot of work in China. Even when their manager got married in 2017, all the members reunited on the wedding, except Victoria. 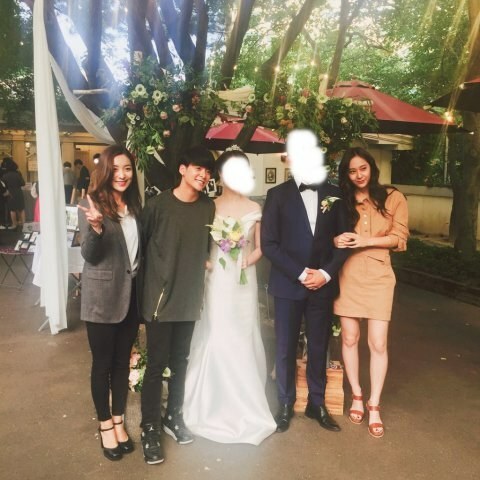 It was too bad that the leader couldn’t be with the girls and their manager on his happy day. The fact that they still keep in touch and support each other could mean that the group isn’t going to disband. Yet. 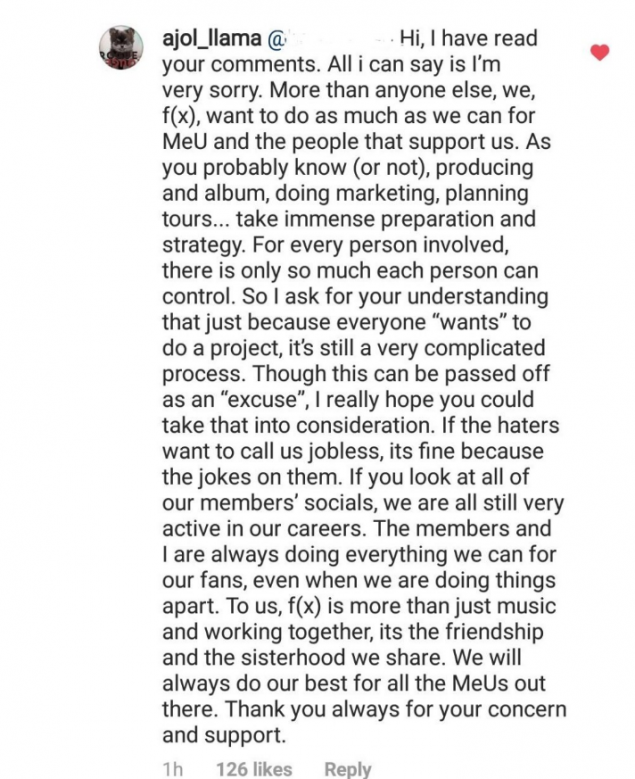 The group, which went into their ninth year in September of 2018, shared a thankful message to MeU. It’s so good to see them celebrate their 9-year anniversary, it seems like proof that the group is still alive and isn’t going to disband. Even though they didn’t celebrate it together, at least they still remember MeU, the ones who always support them and wait for them to comeback, whenever it will be. 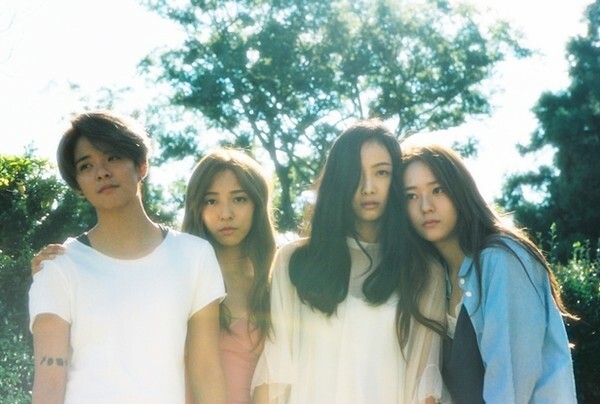 We talked about f(X) members being busy with their individual schedule. What are their individual schedules, anyway? Well, let’s take a look, from the oldest to the youngest, shall we? 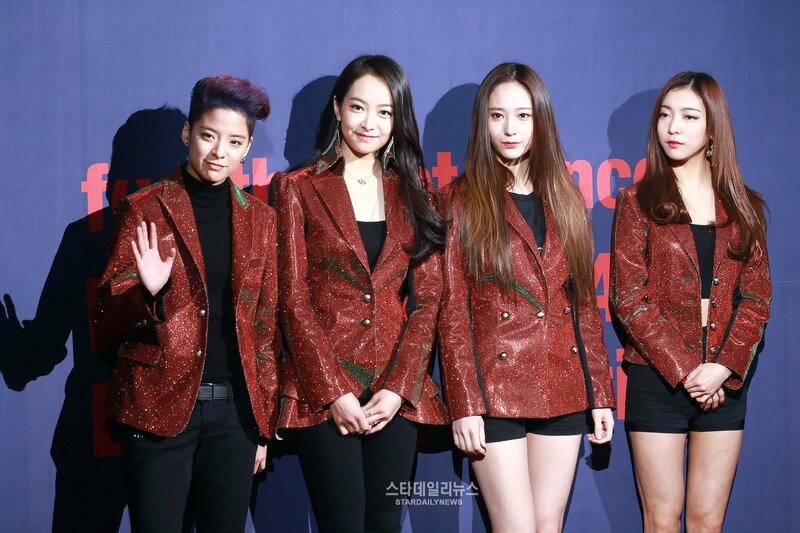 f(X)’s leader is currently doing promotions in China. She also debuted as an actress in a Taiwanese drama called When Love Walked In in 2012, and started acting for Chinese television in 2015, in a drama called Beautiful Secret. She also starred in a movie called My New Sassy Girl, a sequel for the popular Korean movie called My Sassy Girl, with the Korean actor Cha Tae-hyun. Along with acting, she also made some appearances in Chinese reality shows like Up Idol, Hot Blood Dance Crew and The Next Top Bang. She became part of the jury in The Next Top Bang, along with Kris, the former member of EXO. Tao, her former junior in SM Entertainment, just like Kris, was also partnered with her in recent photoshoots. As if that weren’t enough, in 2018, she made a solo debut in China by releasing a song called Roof on Fire. Amber released some single albums while f(X) has been inactive. The songs are White Noise and Countdown, and were released in 2018. She’s also been busy with her solo debut in United States. She made a solo comeback with the song Lower, along with Luna, as their agency project, SM Station on YouTube in the early part of 2018. Talking about YouTube, Amber also had her own personal YouTube Channel called What The Pineapple, where she shared good content with her fans. She’s also been known to share her thoughts on various topics on her channel, as well. Just like Amber, Luna has also released solo albums while f(X) is inactive. She was part of a collaboration, by featuring in the comeback song of JYP soloist Bernard Park, also known as Nak-joon, Still, in July, 2018. She’s also done some live performances as well, such as Rebecca, Rudolf, and Autant en emporte le vent (Gone with The Wind). One of her projects was called The Last Kiss, where she starred along with Leo of VIXX. She once said in an interview that as she got more roles in musicals, she became more and more insecure. She also said that she was struggling between gaining some weight, which is desirable for a musical actress, or to maintain her slim figure, since she’s an idol, after all. Episode 1. She also starred in a drama called The Bride of The Water God, as the second lead female character, the water goddess Moo-ra. After that finished, she starred in Prison Playbook from 2017 until early in 2018, where she played Ji-ho, the ex-girlfriend of Je-hyuk (portrayed by Park Hae-soo). In September 2018, her next project, an OCN drama called The Player, was released. She played the female lead, with the actor Song Seung-heon as the male lead. Let’s take a look at how the members are doing by seeing pictures of them on social media. So glad that four of them have their own Instagram accounts. If you haven’t followed them yet, go follow them, quickly! A picture of the gorgeous Vic and a Chanel perfume. What a duo! She went to Paris for a photoshoot with Chanel. She looks so hot and bold with red! Not only Chanel, she also did a collaboration with Jimmy Choo. Take a look at all the shoes in the picture, looks so tempting! Amber is such a social butterfly! She really likes to share pictures of her with her friends. They helped to deliver briquets in the winter. She showed her lovely eonni-dongsaeng (or sisterly) relationship with soloist Chung-ha. She promoted her song Countdown with a really cool photoshoot. And sometimes, she shares pictures of one of her beloved dogs… None other than JackJack! Luna greeted fans with her long brunette hair. It looks so good on her, and even goes with the color of the curtains! She attended an event for a makeup brand called Givenchy Beauty. She looks so gorgeous as she is! She made a clarification of a scammer that hacked her kakao’s account to get money from her friends and family. She warned everyone to be careful not to believe the hacker that phished her account. • (사진은 일부만 올렸습니다) 안녕하세요~ 루나입니다 요즘 유행하고있는 보이스피싱인데 제 네이버 주소록을 해킹해서 카카오톡으로 저인 척 아이디를 루나, 박선영 으로 이름을 바꾸고 돈을 빌려달라는 사례가 발생 하고 있어서, 절대 속으시면 안됩니다. 카카오톡 자세히보시면 프로필에 빨간 지구본 모양이있는 것들은 다 보이스피싱 이니 참고해주세요. • 특히 할머니 할아버지 그리고 부모님이 많이 당하시고 계셔서 저도 너무 속상하고 화나지만 다시는 이런일이 없길 바라며 용기내어 올려봅니다 최근 들어 sns 계정부터 개인정보 까지 해킹하여 가족들이나 지인들에게 돈까지 달라고 하며 이런 나쁜 행위들을 하는 것이 일하느라 어머니 전화도 못받은 제 탓인것같기도 하고 억울하고 분통하지만 ! 더 화가나는 것은 오늘 아침에 저희 어머니에게 또 연락이 왔다네요 “일은 잘 해결되었어 ? “ 라고 … 전 이런 일에 무너지지 않고 더 열심히 일해서 더 많이 벌어서 효도할거에요 ! 제가 가수로 살며 일하면서 우리 부모님과 가족들을 위해 열심히 모은 돈을 죄책감 없이 훔쳐간 사기꾼 분들 ! 그렇게 돈 버시면 행복하십니까 ? 돈 벌기 참 쉽다고 생각하시죠 ? 매일 밤 낮없이 부모님 고생하시지 않게 제가 10년 동안 학교다니며 알바하며 일하며 번돈 열심히 쓰세요 전 더 강해져서 이런일에 무너지지 않을거에요 저와 같이 이런 안좋은 일들로 지금도 고통 받고 계신분들 우리 조금만 더 힘내요 이것도 지나갈꺼에요 혼자 끙끙 앓면서 힘들어 포기하지 마세요 ! 저도 범인이 잡히는 것이 쉽지 않다는 것 알지만 이번 #보이스피싱 사기를 계기로 더 단단해 질것이고 이겨내 보려구요 오늘도 아침 일찍 일어나 열심히 일하시는 우리나라 모든 직장인 분들 일하시는 모든 분들께 힘내시라고 전하고 싶어요 ! 쉽게 버는 돈. (남에게 빼앗아 자기 것인 마냥) 모래성처럼 쉽게 훅 불면 날아가 버리는 돈그렇게 쉽게 날아가 버리는 것에 집착하기 보다, 차라리 열심히 조금씩모아 나의 소중한 인생에 내 선택으로 도움이 되는 일에 쓰시길 바랍니다. 제발 열심히 살아가는 분들에게 이런 사기치지 마세요 ! Hello everyone it’s Luna here. Someone has been hacking my NAVER contacts to approach my friends and family to ask them for money. Everyone please be mindful of these fake KakaoTalk profiles of me. Please do not be fooled. If you look closely at their Katalks there is a red globe symbol, which means they are phishing..
She matched with the braid hairstyle, didn’t she? She also looks so happy there, how cute! • 루루 릴리 닮았다 ..? Krystal shared moments where she got caught snoozing after shopping. Oh, she looks so cute even when she’s sleeping. Since her sister is ex-SNSD member Jessica Jung, Krystal also likes to share moments with her lovely sister. Just like this elegant photo of both of them. They also like to travel the world together. In this picture, Krystal and Jessica visited some places in Greece. Since f(X) doesn’t sound like they’re going to disband, you must have this question in mind: when will SM Entertainment give them a comeback? To be honest, it’s still a mystery when f(X) might make a comeback. The members are explicitly saying that they won’t be disbanded, but as of yet, there hasn’t been any news for an upcoming f(X)’s comeback. You can see that all the members continue to be busy with individual pursuits.. But still, it’s not like they don’t want to comeback. In an interview, Krystal apologized to fans since they haven’t made a comeback for more than three years. Amber also replied to one hater’s comment on her Instagram saying that she truly feels sorry, and explaining why they’re not making a comeback yet. She made that remark in April, 2018, let’s just hope that what she said was true. 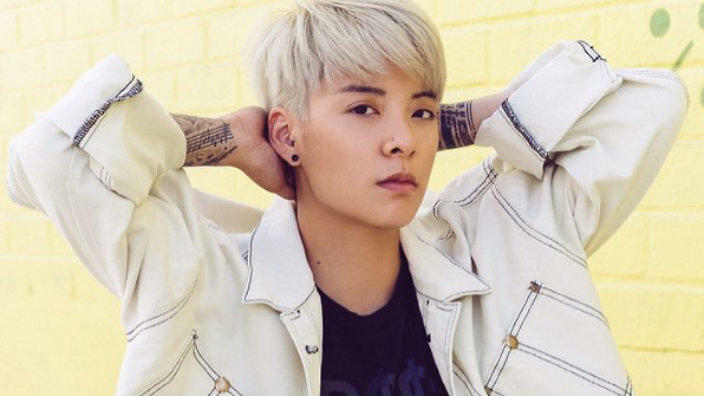 As Amber said, making a comeback isn’t an easy thing to arrange, so maybe they need to take some time to come back with a really big hit song. Even though we have to wait for a long time, we will always support f(X) no matter what! Also, let’s support them with their individual careers. Psst, here’s a bonus picture of the four of them together that will make you miss them more! Amber posted this picture on their 9th anniversary. Amber is missing the girls, and so are we! Let’s just hope that we don’t have to wait too long for their comeback.